The Colombo Plan Staff College, through its open registration programs that are readily available in its website, successfully trained 16 TVET administrators, government officials and project managers on project management processes and techniques during the Customized Program on Results-Based Project Management in TVET Institutions. 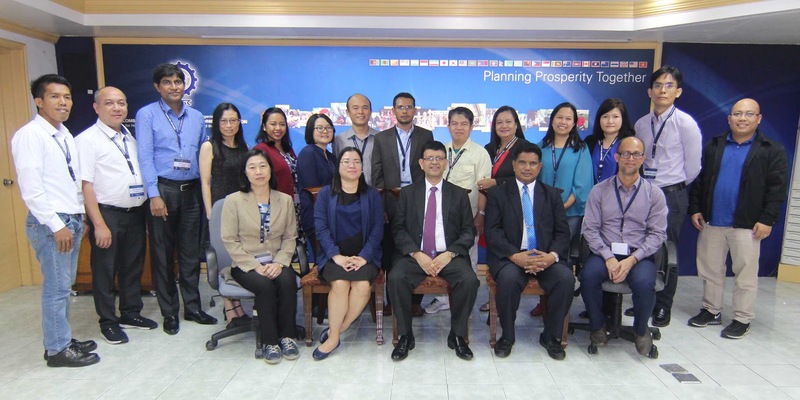 The program was held from September 17-21, 2018 at CPSC's Headquarters in Manila. The 16 participants came from various TVET learning institutions and government ministries in the Philippines, Thailand, Singapore, Bangladesh and Nepal. The program was organized to enable the participants to learn the dynamics, definitions and processes in project management and understand project planning, project implementation and project evaluation as key phases in project management. They were also asked to demonstrate their knowledge in project planning by preparing project problem tree analysis, objective and solution. They also designed the project proposal using the project log framework matrix and applied project management tools and methodologies for managing TVET programs and projects. In addition to the classroom lectures, the program also included study visits to the Development Academy of the Philippines and College of Public Affairs in Los Baños, Laguna in which they were oriented with some of the best practices in institutional administration and project management. The program was supervised by the CPSC Director General, Dr. Ramhari Lamichhane and coordinated by the CPSC Faculty Specialist, Ms. Therese Lee. Academic resources were provided by the CPSC Faculty Consultant, Dr. Chithral Ambawatte and the Research, Publications and Information Officer, Mr. Rae Emmanuel Echaveria. (Right photo) Visiting the UP Biotech Center in Los Baños, Laguna.